47. Divine love and wisdom cannot but be and have expression in others it creates. The essence of love is not to love self, but to love others and through love to be conjoined with them. It is also the essence of love to be loved by others, for thus is conjunction achieved. The essential ingredient in all love consists in conjunction; indeed in it consists its life, which we call pleasure, gratification, delight, sweetness, bliss, happiness and felicity. 48. 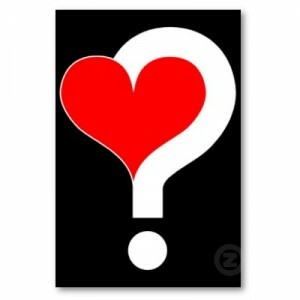 What person cannot see this who is able to discern the essential nature of love? For what is it to love oneself alone, and not someone apart from oneself capable of returning that love? It results in rupture rather than conjunction. A conjunction of love results from its reciprocation, and no reciprocation is possible in self alone. If it is supposed to exist, it is from an imagined reciprocation on the part of others. From these observations it is apparent that Divine love cannot but be and have expression in others whom it loves and by whom it is loved. For inasmuch as there is such an ingredient in all love, it must exist especially, which is to say, infinitely, in love itself. 43. 5. The essence of love is loving others who are outside oneself, wanting to be one with them, and blessing them from oneself. Two things—love and wisdom—constitute the essence of God; but three things constitute the essence of God’s love: his loving others who are outside of himself, his wanting to be one with them, and his blessing them from himself. The same three constitute the essence of his wisdom because in God love and wisdom are united, as was just explained. It is love that wants those three things, however, and wisdom that brings them about. The first essential, God’s loving others outside himself, is recognizable in God’s love for the entire human race. And as those who love the purpose also love the means, God also loves all the other things he created, because they are the means. All people and all things in the universe are outside God, in that they are finite and God is infinite. God’s love goes out and extends not only to good people and good things but also to evil people and evil things. It goes not only to the people and things that are in heaven but also to those that are in hell – not only to Michael and Gabriel but also to the Devil and Satan, for God is the same everywhere from eternity to eternity. As he says, “He makes his sun rise on good people and evil people, and sends rain on the just and on the unjust” (Matthew 5:45). Despite this, evil people and things are still evil. This is a result of what is in the people and the objects themselves. Evil people and things do not receive the love of God as it truly and most profoundly is; they receive the love of God according to their own nature, much the way thorns and nettles receive the heat from the sun and the rain from the sky. The second essential of God’s love, his wanting to be one with others, is recognizable in his partnership with the angelic heaven, with the church on earth, with everyone in the church, and with everything good and true that forms and constitutes an individual and a church. In fact, seen in its own right, love is nothing but an effort to forge a partnership. In order to fulfill the purpose intended by the essence of his love, God created human beings in his own image and likeness – characteristics with which he could forge a partnership. Divine love constantly aims to forge a partnership with us, as is clear from the Lord’s saying that he wants to be one with people, he in them and they in him, and he wants the love of God to be in them (John 17:21, 22, 23, 26). The third essential of God’s love, his blessing others from himself, is recognizable in eternal life, which is the unending blessedness, good fortune, and happiness that God gives to those who let his love in. As God is love itself, he is also blessedness itself; and as every love exudes pleasure, so divine love eternally exudes blessedness itself, good fortune itself, and happiness itself. God gives these blessings to angels and people after death through his partnership with them. This entry was posted on 2010.02.17, 4:10pm and is filed under Sermons. You can follow any responses to this entry through RSS 2.0. Both comments and pings are currently closed.